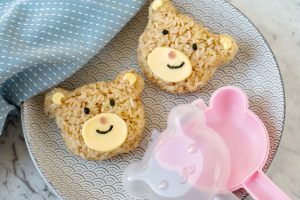 Place the tofu into a zip-lock bag and add the marinade ingredients. 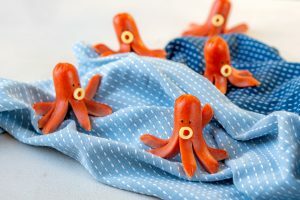 Mix well to ensure that the marinade is distributed evenly. Let it marinate for at least 1 hr. 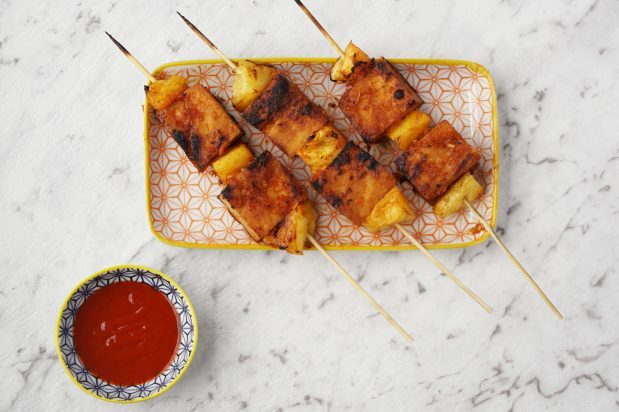 Skewer the marinated tofu and pineapples in an alternating pattern and place on a barbecue. 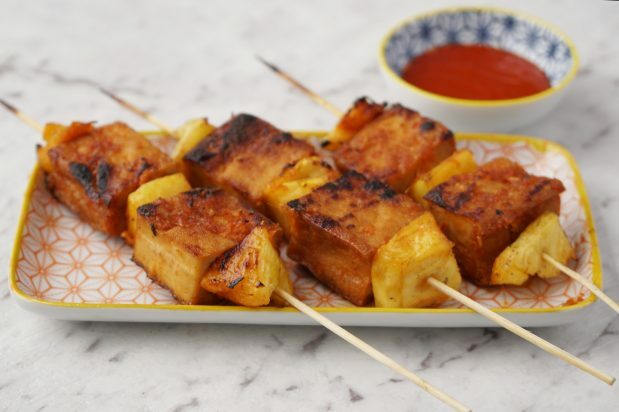 Flip the skewers occasionally and cook until the tofu and pineapples have begun to char.